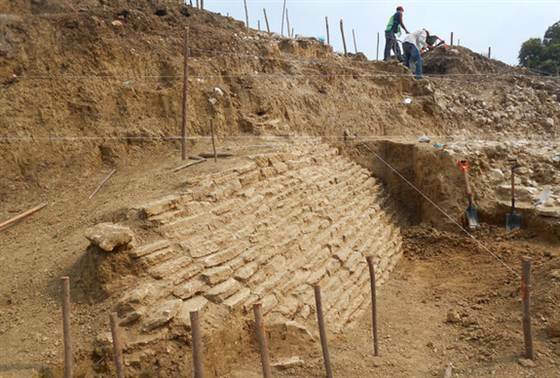 Monumental stone architecture has rarely been found in Veracruz, archaeologists. The remains of this ancient pyramid were discovered in Jaltipan. 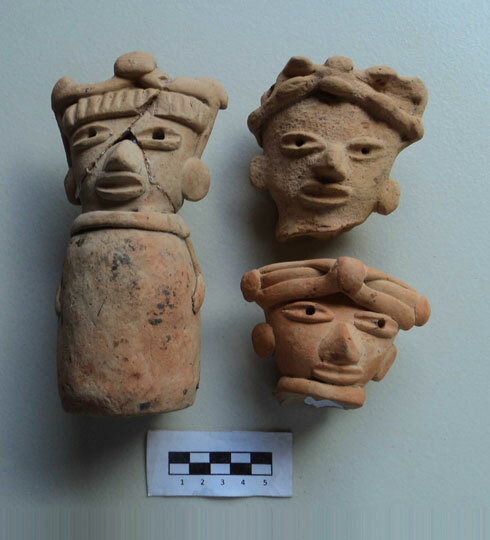 The National Anthropology and History Institute, or INAH, announced the discovery of 30 pre-Columbian burials and a pyramid in an ancient settlement in eastern Mexico that could be up to 2,000 years old. 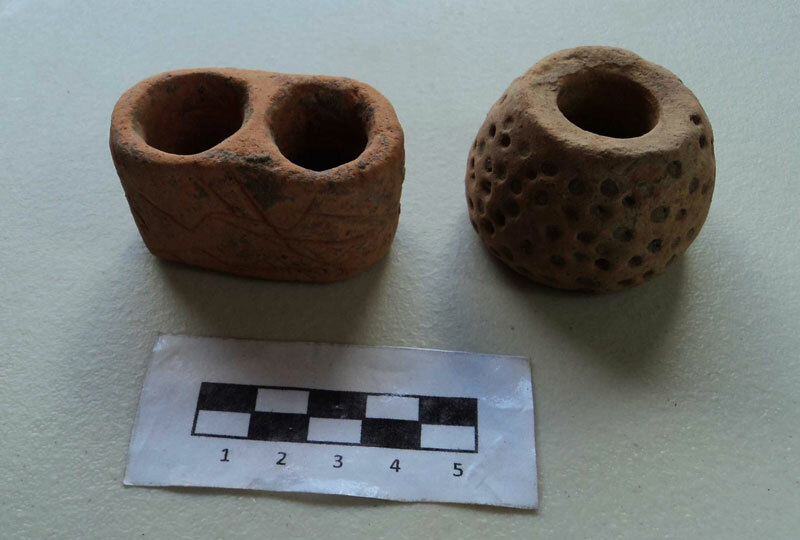 The graves located in the municipality of Jaltipan, Veracruz state, were accompanied by offerings, animal remains and fossils. Also found was a brick structure with characteristics similar to one at the Mayan site of Comalcalco in Tabasco, INAH said in a communique. Preliminary hypotheses indicate it could have been a sanctuary where people of the region buried their dead, or perhaps a kind of market or a center of government where different cultures merged. Its use could date back to 700 A.D.
Research leader Alfredo Delgado said the discovery occurred in the course of construction work being done in the area. 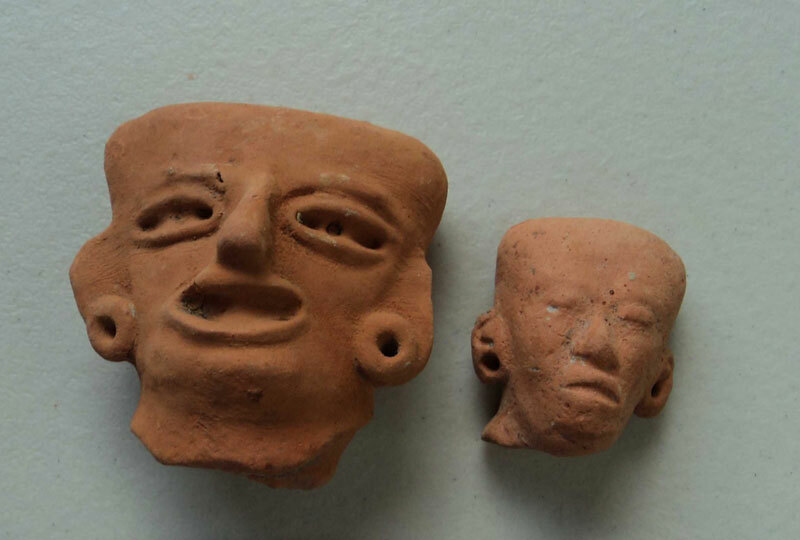 Among the objects found and removed for future study were jade beads, mirrors and figurines of Teotihuacan, Mayan, Nahua and Popoluca origin, and from the Remojadas culture that flourished in central Veracruz. 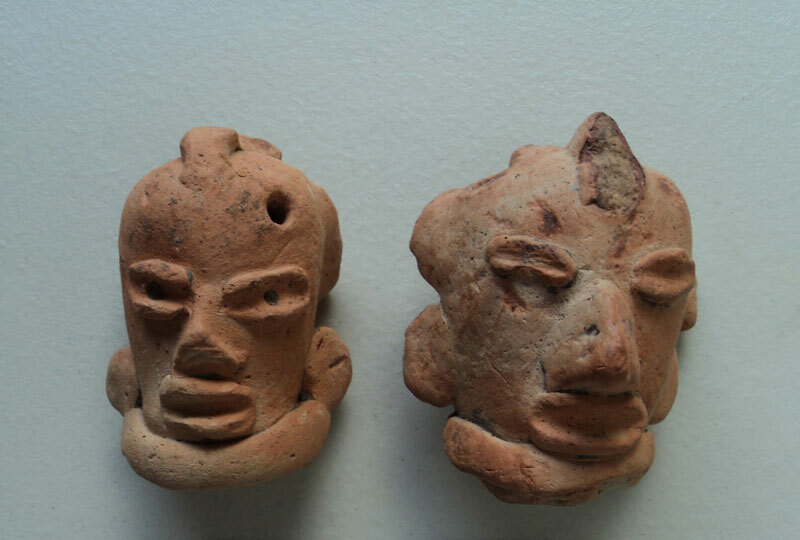 Fragmentos de figurillas de origen teotihuacano, maya, nahua, popoluca y de la cultura de remojadas, Centro de Veracruz. De manera preliminar, se sabe que el sitio pudo haber tenido una ocupación desde principios de la era cristiana hasta 600 o 700 d.C. Se podría tratar de un santuario donde la gente de los alrededores sepultaba a sus difuntos, o bien una especie de mercado. “Analyses will enable us to see whether this site was multicultural, as is indicated by the materials found, or whether the inhabitants were all of the same genetic type. “This find has great value not only for the number of skeletons found, but also for the fossils that have appeared, and which at some time were brought from the central part of the country, since in this region that are no remains of this kind,” the archaeologist said. Very large bones and teeth were found that could be from prehistoric camelids and dwarf rhinos, fossilized shark’s teeth most certainly of the Megalodon type - extinct for more than 10,000 years - and of the tiger shark that still swims the seas. The discovery of the pyramid, which is 12 meters (39 feet) high, 60 meters (197 feet) deep and 25 meters (82 feet) wide, on a nearby hill is particularly important because this is the first time a stone structure has been discovered in southern Veracruz.